By Xah Lee. Date: 2017-11-12 . Last updated: 2017-11-15 . This uses a “beam spring” as its key tactile mechanism, and uses capacitance as electric switch. a “beam spring”, is basically just a bent strip of metal, function as a spring. A beam spring switch uses beam spring as tactile mechanism. When enough pressure is forced, it bents the other way, and activates the electric switch mechanism. 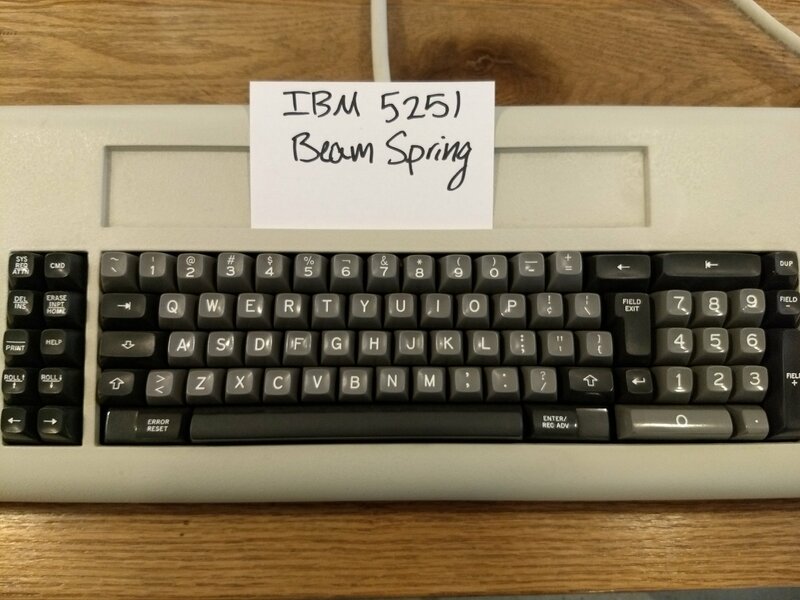 IBM 5250 is a family of block-oriented terminals originally introduced with the IBM System/34 midrange computer systems in 1977. 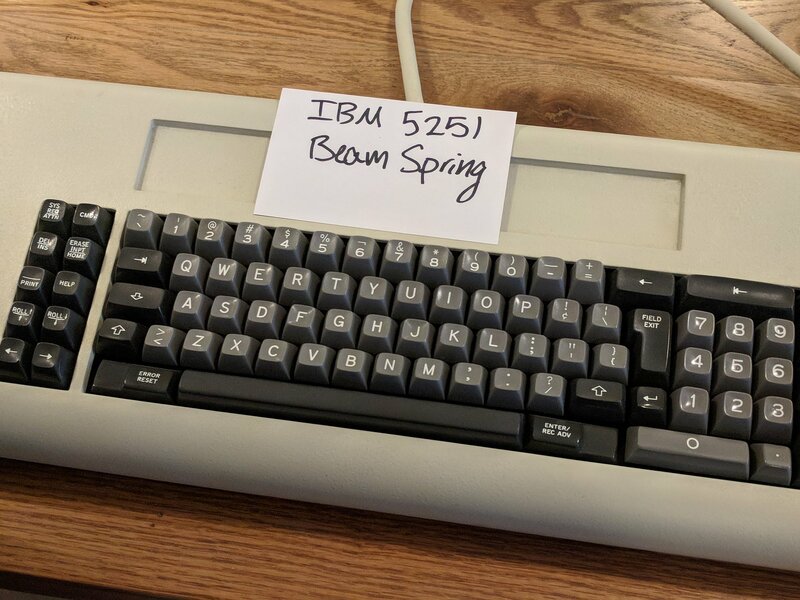 It also connects to the later System/36, System/38, and AS/400 and System i systems, and to IBM Power Systems systems running IBM i. 5250 devices can be directly attached to the host or communicate remotely using Synchronous Data Link Control (SDLC) at up to 9600bit/s. Devices can also be clustered or daisy-chained. 5251 Display Station. The monochrome text-only display can be either 960 characters, formatted as 12 lines of 80 characters, or 1920 characters as 24 lines of 80 characters. Upper and lower case is standard. Text attributes consist of blink, high intensity, reverse video, non-display, underscore, and a unique column separator that causes the field to be preceded and followed by a vertical bar. 5251 and 5252 input format control attributes are optimized for data entry applications and offer significant enhancements over previous 3270 terminals. 5252 Dual Display Station. 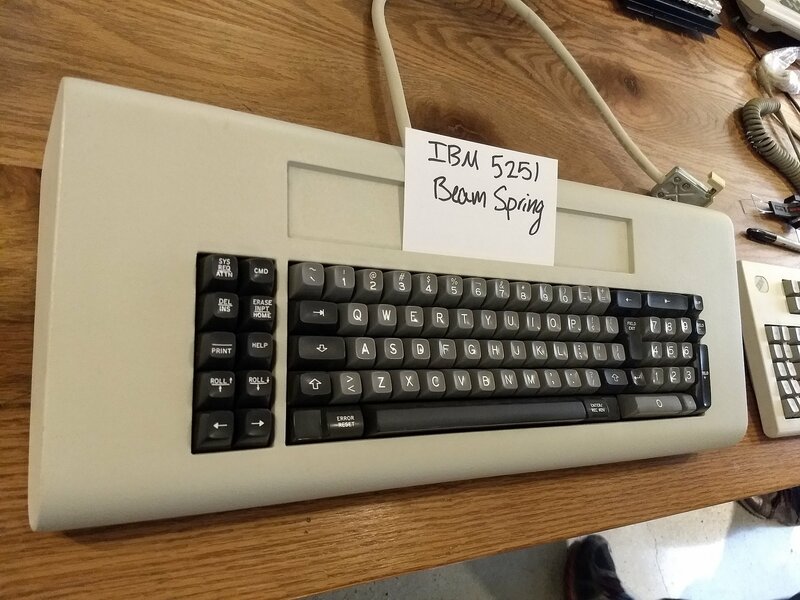 The 5252 features dual CRTs back to back in a single case, with separate keyboards. The 5252 was not part of the initial announcement. 5256 printer. The 5256 is a tabletop serial dot matrix printer with three models providing speeds of 40, 60, or 120cps and a print line of 132 characters.